Summary: MSG - monosodium glutamate - can be hiding in many processed foods. But did you know it could also be hiding in processed dairy products? (NaturalNews) The risks of flavor enhancing food additive MSG (monosodium glutamate) are well known to many NaturalNews readers. MSG should be avoided, considering the fact that it is a dangerous excitotoxin that kills brain cells in the hypothalamus, promotes obesity and liver disease, and is linked to seizures, migraines, ADD/ADHD and heart palpitations. Unfortunately, MSG is hidden in many foods and products, which makes it difficult to avoid even for informed buyers. MSG is difficult to locate on ingredient labels because it goes by names other than "monosodium glutamate." Worse still, it is shockingly hidden in foods you would never expect, such as dairy products. Unfortunately, the pasteurization process used in conventional dairy products actually creates free glutamic acid (MSG). 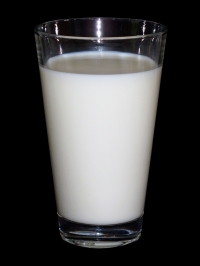 The heat of pasteurization breaks down milk protein which results in the creation of free glutamic acid. This creation of MSG can occur from anything that breaks down protein in a food or product. This effect in exacerbated in "ultra-pasteurized" products due to even higher temperatures. And as you might expect, you'll see no mention of MSG or free glutamic acid on the ingredient label. Any of the these dairy products may contain MSG: fat-free milk, powdered milk, "ultra-pasteurized" anything, cottage cheese, reduced fat milk, cream or half and half, ice cream, cream cheese and yogurt. In other words, almost all conventional dairy products are suspect. And if you think you're safe as long as you buy organic dairy, think again; even organic may contain MSG.